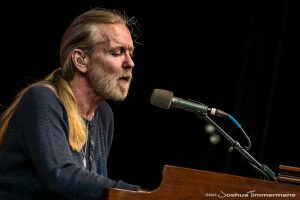 Saturday, May 27, 2017 – the day that will be remembered for the passing of Gregg Allman. While there were signs this day was coming and while there’s no doubt that Gregg left an indelible mark that will live across the ages, that doesn’t make this day or this particular final curtain any easier. Like so many who were privileged to see Gregg perform over the years, he rocked my soul more than once. Two of my most cherished concert experiences with my teenage daughter were courtesy of Gregg Allman. His Chattanooga Riverbend Festival show in 2015 was outside when a brief rain shower began right as Gregg and his solo band had gotten three notes into Soulshine. My daughter told me that she had no intention of moving from our position on the lawn to seek cover – no matter how hard it was raining. (I was thrilled to hear her reaction because I had no thought about moving, either). A few months later, my daughter and I had tickets to see Gregg and his solo band in Macon at the Grand Opera House, the same venue where Gregg’s most recent live album had been recorded in 2014. At the time I had purchased the tickets, I was confident I would be able to make the trip from Chattanooga to Macon for the show. However, I had was still recovering from disc fusion surgery and my neck was in brace. When I asked my daughter how disappointed she would have been if we canceled the trip, she replied, “Very disappointed!” She reminded my wife and I that the tickets were part of her 16th birthday. Thanks to a friend at The Big House Museum, we were able to find a ticket for my wife and we made what now is a very memorable trip. We not only heard Gregg in fine form in Macon, but we also got to hear Scott Sharrard play Duane Allman’s 1957 Les Paul Gold Top on Trouble No More and some other ABB chestnuts. Talk about getting your soul rocked! It was a Fillmore East moment for me, and it only deepened what my daughter felt about Gregg when she called seeing him a “religious experience.” Gregg Allman is on the very short list of people I would see while wearing a neck brace. And that night, I was rocked beyond belief — nearly to the point of crying. I have to say that I didn’t know post-surgical recovery pain could feel so good. Now to the moment when Gregg Allman actually made me cry with a song. It was early November of 2014, and Gregg was appearing at the Fox Theater in Atlanta as part of the all-star celebration of Lynyrd Skynyrd. Back in August of that year, I had first learned about the show from Gregg’s Twitter feed during a lunch break. I immediately thought about which song from the Skynyrd catalog Gregg might sing. I was convinced it was going to be Tuesday’s Gone. If there was the slightest chance that Gregg Allman would be singing Tuesday’s Gone, I would be headed to the show. I quickly texted my wife about the show and that Gregg would be a part of it. She told me that I needed to make a run at tickets, and then I started to think about who might enjoy seeing Gregg as well as a collection other music standouts take on some of Skynyrd’s best. The first person to come to mind was Al Neff, a friend from my college radio days who shared some history with Gregg. In 1983, when Al and I were a part of KVSC-FM, the campus radio station of St. 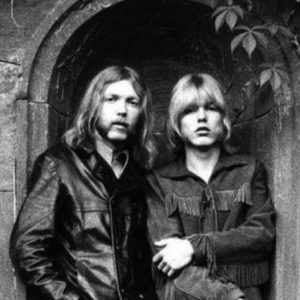 Cloud State University, I came up with the crazy idea of trying to land an interview with Gregg Allman. Back in 1983, the Allman Brothers were on a hiatus and Gregg was playing as a solo act. The music industry was going through a great deal of change at the time and Gregg was touring clubs in big cities. I saw that he was coming to the Cabooze Bar in Minneapolis that April. I can’t exactly recall how I had tracked down the information for Gregg’s management company in the pre-Internet age, but I was highly persistent in those days and I was able to connect with the right people. Before I knew it, I was talking with the tour manager from my dorm room “office,” and we had an interview lined up with Gregg Allman! The package I negotiated came complete with guest passes for the show. Al and I were stoked, but there was one flaw in my planning. The show with Gregg was the same night as an exam I had in a night class, and you could not make up the exam for any reason. I was getting down the home stretch toward graduation, and I had one of the toughest decisions to make in my 21 years on the planet to that point. Bow out of the interview and stay on course with graduation, or interview Gregg Allman and flunk the class. (My daughter and several others who have heard me recount this story rightfully give me a good deal of crap for not ditching the test and risk the failure a college course). That I made an A on the exam and stayed on course to graduate on time is now little consolation for one of my bigger regrets in life – missing my chance to meet and interview Gregg Allman. One saving grace is that Al had the honor of making the trip to Minneapolis, conducting the interview and seeing Gregg rock the house in a very intimate club setting. For me, the coolest moment of the interview was when Gregg did a shout out for the station. For my money, it’s still the greatest radio station Legal ID in the history of college radio. Just imagine Gregg in that unmistakably soulful voice uttering the following: “Hi, this is Gregg Allman, and you’re listening to KVSC, St. Cloud’s Best Rock!” Of course, Gregg was the definition of perfect cool in nailing it in one take. Let us fast-forward to 2014 and the Skynyrd Tribute show. I got two tickets, and Al worked it out to make the trip South. That November, we met in Atlanta and walked into the legendary Fox Theater. There were a number of impressive performances that night, but, for me, everything led up to the moment when Gregg walked onto the Fox stage. I was there to hear Gregg sing Tuesday’s Gone and I knew it would make me cry. The reason for my tears can be traced back to 1983, and it had nothing to do with missing the interview. In the Fall of 1983, a good friend of mine from Minneapolis was making a trip to the Boundary Waters Canoe Area. There was an accident and he died in 1983. A few weeks prior to the accident, my friend and I were talking about death. At that point, it seemed way off in the distance for a couple healthy guys in our 20’s. But, just in case, we wanted to have our bases covered. My friend told me that if I was around when he died to play Skynyrd’s Tuesday’s Gone at his funeral. Unfortunately, when I arrived with a group from Minneapolis to attend the funeral, my friend’s family had planned everything down to the last detail. They were in deep mourning, and I didn’t have the heart to try to convince them to play a Lynyrd Skynyrd song inside of the church. Whenever I hear Tuesday’s Gone, I always think back to my friend – no matter how many years that it has been. And when Gregg hit the first chords of Tuesday’s Gone on the B3 that night at the Fox, my tears started to flow. As I thought of my long, lost friend, Gregg’s soulful voice behind Ronnie Van Zant’s touching story provided a moment of catharsis for me. Whatever guilt or regret I felt for not honoring my friend’s funeral request left me forever. Yes, true to his word, Gregg Allman had made a 52-year-old kid cry at a concert. His version of Tuesday’s Gone also provided me with a dose of healing that was 30 years in the making. Over the next few days, I’m sure that Gregg’s voice will bring more tears to my eyes for reasons fans of his music can clearly understand. But, most of all, Gregg’s distinctive style and his music will continue to deliver a lasting joy and gratitude to my world as well as many others. 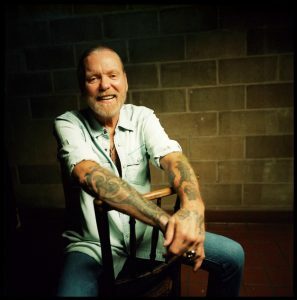 I am one of the many who is grateful that Gregg Allman poured his life’s experiences into his music. His ability to endure and excel to the greatest heights through the incalculable pain of loss and other suffering along his long road forged more than a few chapters in the history of rock. His life’s work and his voice will last through the ages. There’s no doubt that Gregg Allman rocked our souls, our worlds and elicited more than a few tears of joy. Rest in Peace Midnight Rider. The road does indeed go on forever! Below is the Gregg Allman version of Tuesday’s Gone.